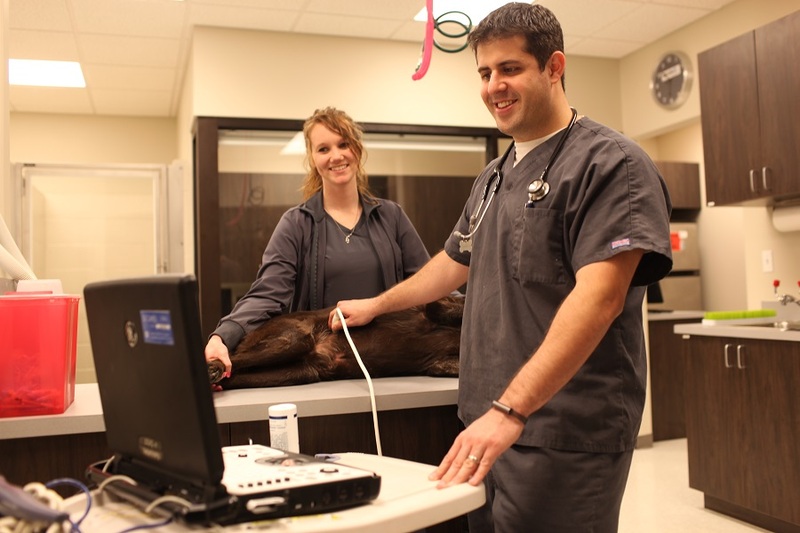 Here at Circle B Veterinary Hospital, PLLC, we are proud to have an ultrasound in our hospital. It is our goal as a hospital to provide the very best veterinary care possible. We have only state-of-the-art equipment in our hospital so we can diagnose and treat our patients quickly and efficiently. Ultrasounds are great for diagnosing patients. The ultrasounding procedure itself is quick and painless. It also is better than radiographs since it does not use any harmful radiation. Instead, ultrasounds use sounds waves to allow us to look inside your pet’s bodies to help us diagnose their problems. Ultrasounds are often a better alternative to radiographs because they allow us to clearly see your pet’s vital organs. Also some conditions can only be diagnosed using ultrasounds. Not many veterinary clinics have ultrasounds, so they are stuck taking radiographs. Due to this fact, we are proud to be able to offer you the choice between radiographs and ultrasounds. We are happy to be able to offer you all of the very best diagnostic tools so your pets start to feel better. The sooner we can diagnose your pets, the quicker we can start treatment, and the faster they will be back to their normal selves. Don’t hesitate to call us today at (281) 769-3369 if you would like to schedule an ultrasound for your pets or if you have any questions.